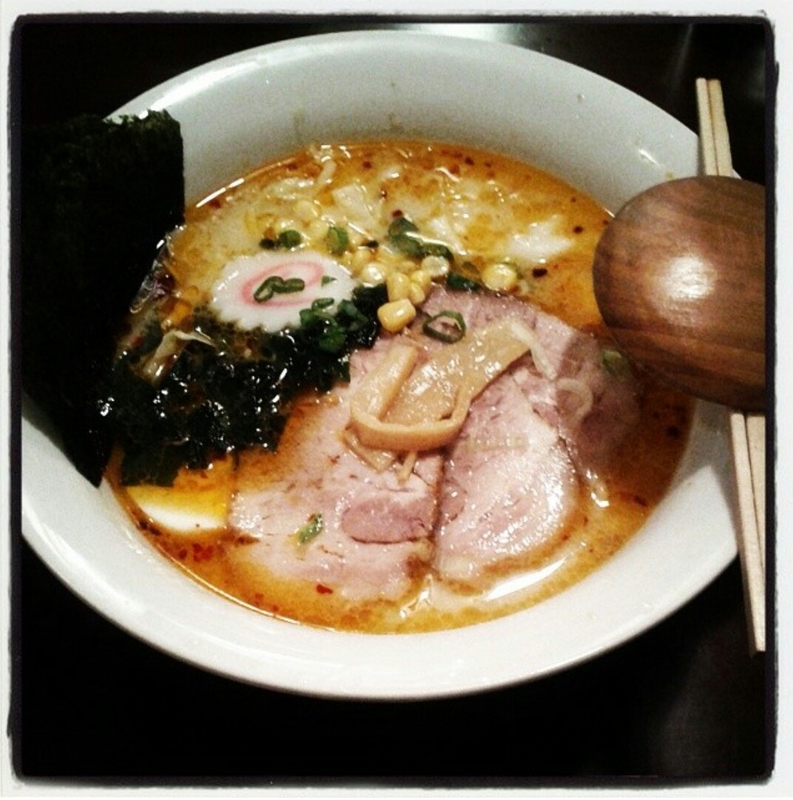 Inaka is a relatively new ramen shop that came to Boston in 2013. It is run and owned by Jim Chen. He and his wait staff are very friendly and enthusiastic. Inaka serves ramen, katsu, donburi and curry-don. The decor inside is simple, functional and Japanese influenced. The restaurant is small and only has eight tables so you may experience a little wait during peak dinner times. Parking is available on the street. Inaka offers four types of ramen. Three Ramen styles with hot broth and noodles- shoyu, miso and yakibuta – and one style with cold noodles in a sweet vinagrette- hiyashi chuka. Every ramen order comes with a larger-than-average wooden spoon to make soup slurping easier. They offer sides of sesame chili oil, chopped garlic, and shichimi togarashi, or ground red pepper with other seasonings, on the table if you want to add flavor your ramen. On two of my visits the broth for my dining companion’s shoyu and my yakibuta ramen lack depth, complexity, body and saltiness. On a return visit, the yakibuta broth was better in terms of saltiness and the miso flavored broth was on point. One of the main reasons I like Inaka is because you can choose the type of noodles. You can get the long straight thin noodles, similar to a thicker vermicelli, or the thicker, chewy, springy yellow wavy kind. However, this isn’t written anywhere on Inaka’s menu. You only find out about it if the wait staff asks you what kind of noodle you would like while you order. Overall, the ramen that Inaka serves up is slurp-worthy on a good day but in comparison to other ramenya in the immediate Allston area, I would go to Pikaichi or Totto Ramen as my first choice. The ramen broth quality needs to improve and be more consistent. 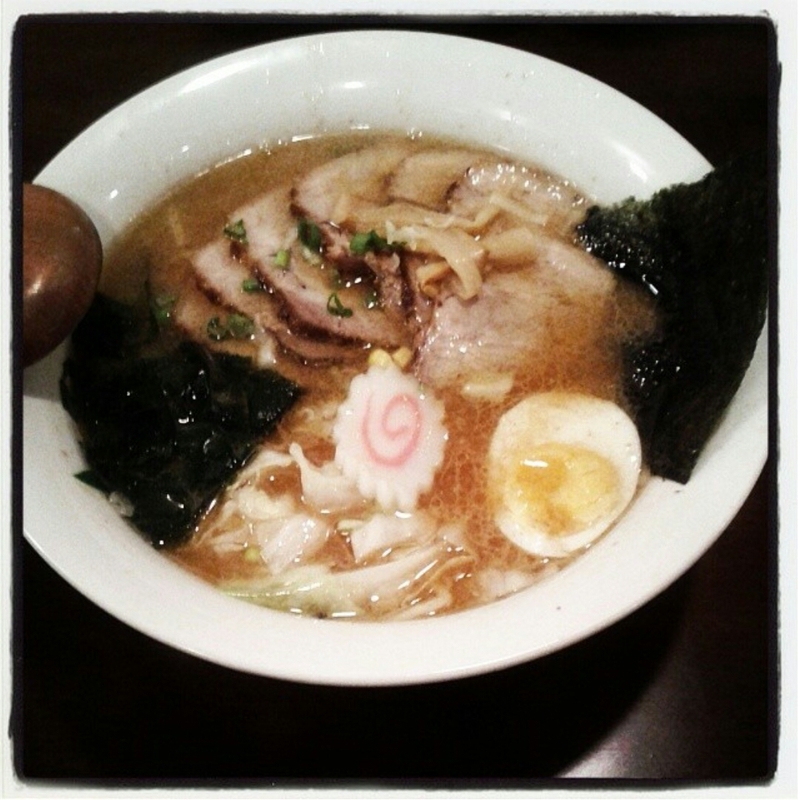 It’s a good spot to have a simple bowl of Japanese-style ramen if you need a quick fix. I would like to come back to try the ahiru donburi as the price is very good for a duck rice bowl.